If there is one thing Germans do well, that is traditions and celebrating them. Take Christmas markets, for example, they are great. 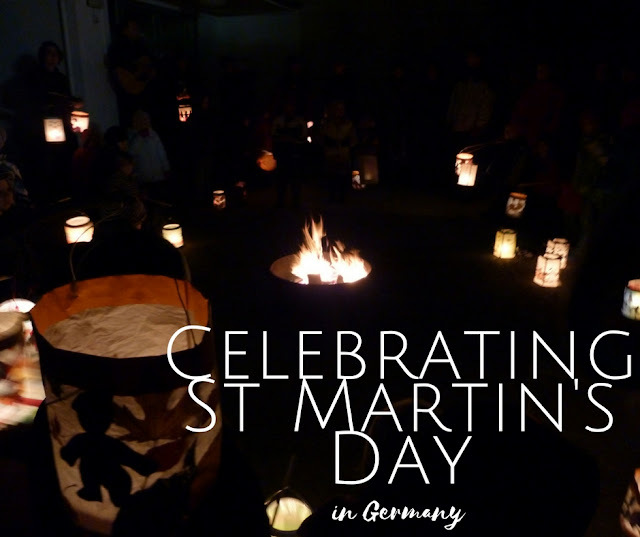 While Christmas markets are very popular and spreading around the world, this week we are celebrating a lesser-known tradition (in my eyes anyway): St Martin's Day. As newly-arrived foreigners, we had never heard of Saint Martin and had to be explained the gist of it by German friends. 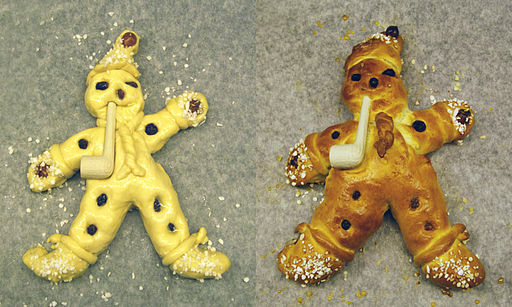 But it seems to be a very popular tradition for children (in our part of Germany at least). "is a time for feasting celebrations. This is the time when autumn wheat seeding was completed, and the annual slaughter of fattened cattle produced "Martinmas beef". Historically, hiring fairs were held where farm laborers would seek new posts. November 11 is the feast day of St. Martin of Tours, who started out as a Roman soldier. He was baptized as an adult and became a monk. It is understood that he was a kind man who led a quiet and simple life. The most famous legend of his life is that he once cut his cloak in half to share with a beggar during a snowstorm, to save the beggar from dying of the cold." 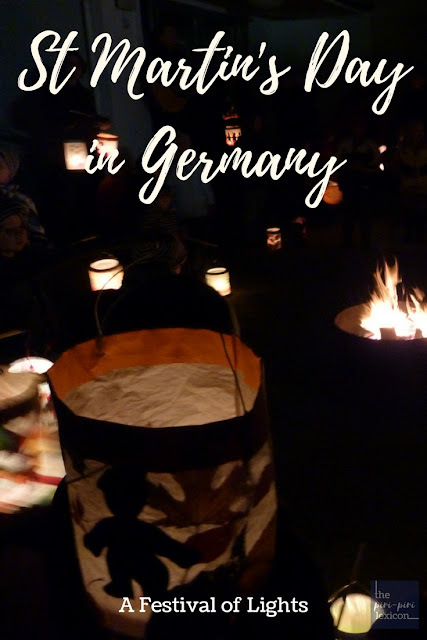 In Germany, children of all ages make their own lanterns and march through the streets singing songs (usually with their school). Last year, for a small group of 2-3 year olds, the police had even closed the two streets we marched through. German efficiency is not just a myth! I am told in some areas the children get sweets given to them too. Goose is often eaten on this day and you will see many German restaurants offering goose from now until Christmas. Last year, parents at our playgroup had baked goose-shaped cookies. In some regions of Germany, the traditional sweet of Martinmas is 'Martinshörnchen', a pastry shaped in the form of a croissant, which recalls both the hooves of St. Martin's horse and, by being the half of a pretzel, the parting of his mantle. In parts of western Germany these pastries are shaped like gingerbread men and are called 'Dambedei' (where we are). This is what we have around here. 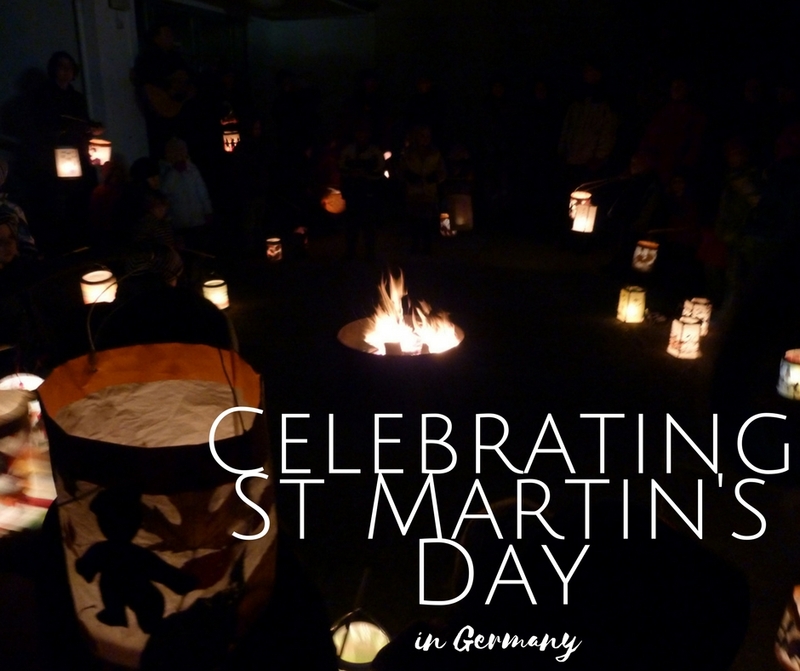 Another widespread custom in Germany is bonfires on St. Martin's eve, called 'Martinsfeuer'. Previously, the Rhine River valley, for example, would be literally lined with fires on the eve of Martinamas. Today bonfires and fireworks are more local. As I write, we are learning the songs and buying our mandatory 'Laternenstab'. 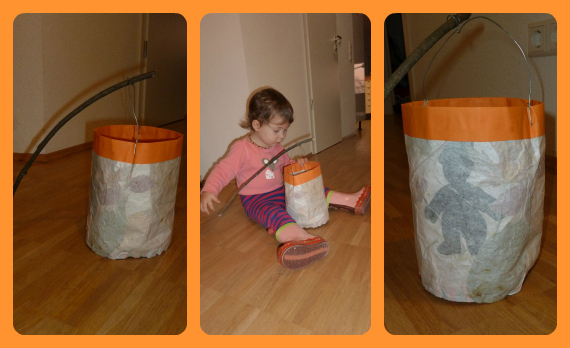 Last year, we had simply made a quick wooden stick for our daughter to hold her lantern. 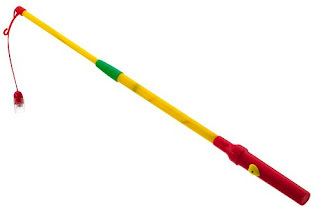 But everyone has a hi-tech version these days with a little light at the end. Want to join in? Here is the most popular song we sing while walking through the streets or around the bonfire. We had ours yesterday and I totally forgot about the stick, too! I guess I thought the school would provide those. Maybe it did and I just didn't see where... Oh well, there's still next year! I remember celebrating this festival when I was an au pair in Germany! It is so pretty with all the little lights shining from the lanterns and the children singing. Although I´ve lived in Germany twice and studied German, I didn´t know much about this festival and haven´t seen it. 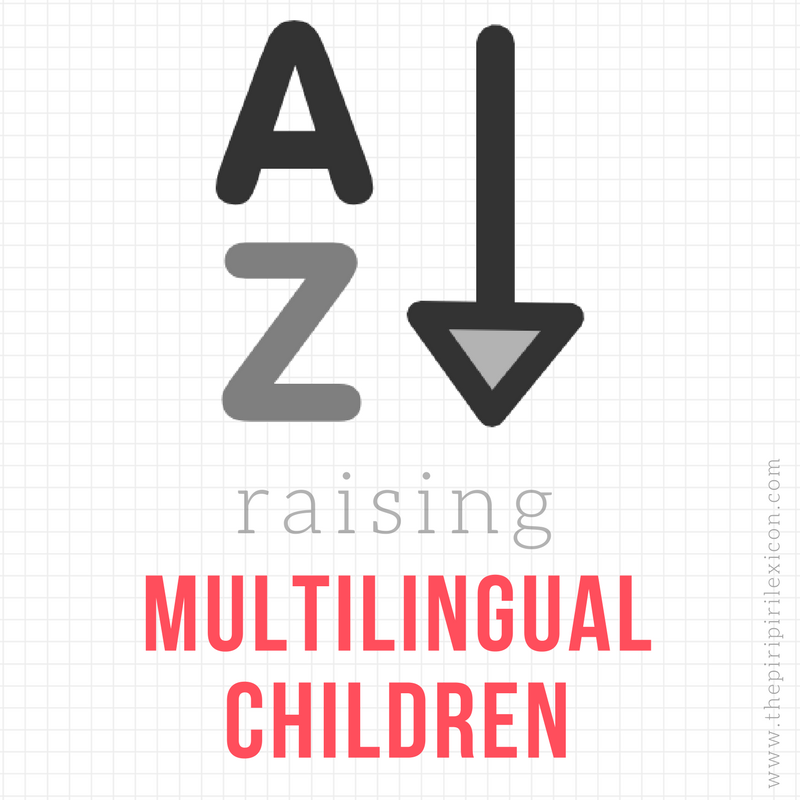 Sounds really interesting and fun for the kids! This sounds like a beautiful festival! I love that the kids all have hi-tech sticks for their lanterns now! I have learned bits and pieces about this festival over the years, but never really put them all together until now. Thanks for writing about it! Your daughter looks adorable with her lantern, and I think the stick is lovely, but don't blame you a bit for blending in ;) All of the children with their lanterns must have been beautiful sight! I'd never heard of St. Martin's Day - thank you for sharing this! Those Dambedeis are adorable and I love the lantern tradition. First time we tried those Dambedeis and they were delicious!